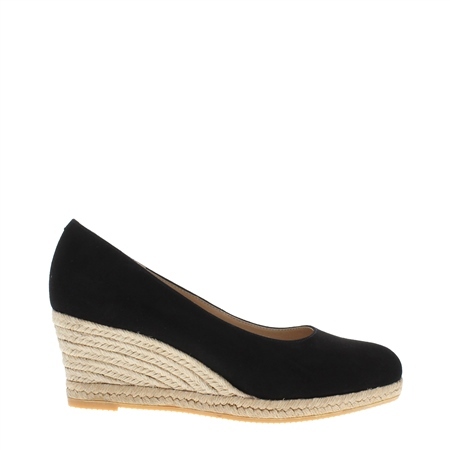 The Valeria is modern twist on the espadrille. The ideal court for your casual and workwear wardrobe. The Valeria is desinged in soft black suede and set on a wedged jute sole for a gentle lift.